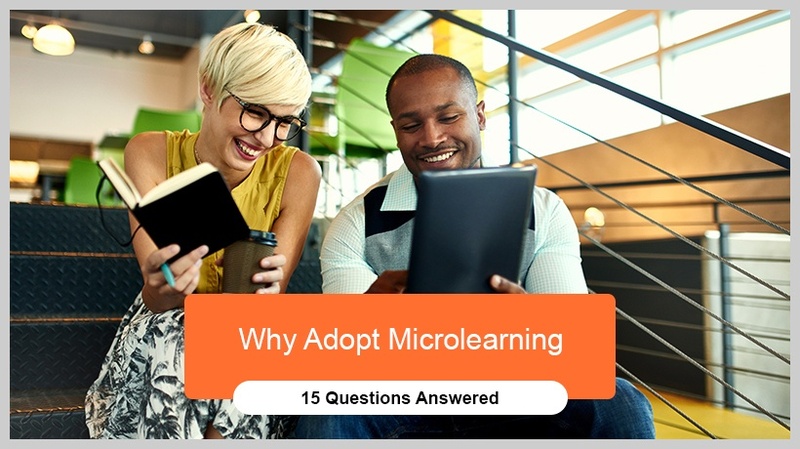 Why Adopt Microlearning? 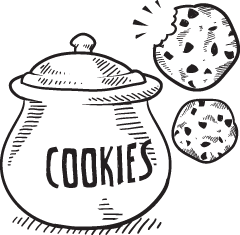 What Is The Relevance Of Microlearning Today And Why Is It The Flavor Of The Season? We live in a world full of distractions and dwindling attention spans. Both these raise questions on how your learning strategy should be updated to offset these challenges. Let’s take a look at this and some of the related facets more closely to determine what approach would offset these. Discover the wide range of benefits that Microlearning offers your organization and employees. People are completely alert and attentive in the first 8 minutes. Once 20 minutes go by, the attention level starts showing a dip. Once they hit the 60-120 minute range, the alertness level completely drops. If the findings of a study by Microsoft are to be believed, the human attention span (8 seconds) is lesser than that of a goldfish (9 seconds). Then there’s the "Forgetting curve” too that postulates that we forget nearly 80% of what we learn in 30 days if there is no reinforcement. These three challenges are very real and need to be addressed for learning to be sticky, easy to apply on the job, and show a demonstrable gain that businesses want to see. To begin with, you can use microlearning to supplement your formal trainings. This way, you can ensure that the reinforcement provided in the form of Microlearning helps learners retain the learning you offered them through the formal training. A key feature of Microlearning is that it is short and learners would usually finish going through a Microlearning nugget within a 3 to 5 minute window. This way, it helps you negate the impact of the “Forgetting Curve” and offset the attention span challenge. Short trainings then translate into faster completions, thereby fetching you better completion rates. There’s plenty more to Microlearning and the series of questions and answers that follows will help unravel each of these aspects one after the other. Design and deployment of microlearning. As the name suggests, microlearning is learning in micro bites. It is a short learning nugget that a learner would usually complete between 2 to 5 minutes to achieve a specific learning objective. While microlearning nuggets can be used for both formal and informal learning, they are used more often for just-in-time learning purposes (as Performance Support Tools). They offer multi-device compatibility and appeal to learners because of the rich media format usage. Q2. What is not microlearning? Microlearning is not just breaking down a 10-hour training into small pieces. It’s an action-oriented approach of offering bite-sized learning that gets learners to learn, act, and practice. The ideal way to go about creating microlearning nuggets is to identify the larger learning objective and then drill down at micro levels. Q3. Microlearning sounds a lot like Just-In-Time learning of the past. What are the differences? Just-In-Time learning is normally associated with the concept of Performance Support rendered through Performance Support Tools or PSTs. They are typically designed to address a definite learner need or a specific problem. They are normally not tracked by Learning Management Systems and are designed to support the formal training (tracked by LMSs). They are almost always embedded in the learner’s work-flow. In other words, they are used for informal training. PSTs use microlearning-based formats. Microlearning nuggets on the other hand are short training nuggets that address a specific learning outcome. They can be used to provide both formal training as well as Performance Support or informal training. They can also be used to support ILT/VILT sessions. Q4. How micro can you go with microlearning? while ensuring that they are long enough to adequately cover a learning objective. They should be short enough for learners to consume them easily in one go. Available to learners precisely at the time of their need. The microlearning experience should be such that it helps learners on the job at the moment of their need. Designed to enable learners to act and practice. The microlearning experience should be action-oriented and help learners practice what they’re learning. Q5. How does microlearning empower learners? It provides them with the flexibility to learn on any device, whenever they want to. It avoids them the hassles of logging in to a Learning Management System and then going about their learning. It provides them access to the learning material within their workflow. Q6. What are the benefits to the learners? Microlearning nuggets can be embedded in a learning path in a flexible way, letting learners choose what they want to learn and when on the device of their choice. 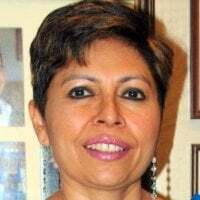 They also help address the different learning styles and preferences that learners have and bring in an element of personalization in the learning. Microlearning nuggets make great Performance Support Tools (PSTs) to help learners apply the learning precisely at the moment of their need. With every passing day, learners are getting more access to mobile devices such as tablets and smartphones. Microlearning nuggets can be easily made available to learners on the device of their choice. Learners today are used to viewing pieces of information in various rich media formats. The flexibility microlearning offers in this regard helps meet learners’ expectations to have an engaging experience. Microlearning nuggets can be completed quickly. The learning as a result is more effective and beneficial for learners. Q7. What are the benefits for business? Organizations need not spend a bomb on microlearning nuggets. Studies reveal that organizations end up bringing down the development cost by 50% with microlearning at a development speed of +300%. As microlearning nuggets are short, it doesn’t take long to build them. This short development cycle results in lesser expenditure and a quicker turnaround time for organizations. The short turnaround time factor comes into play in case of updates to be made to the nuggets as well. As they are short, it doesn’t take long to fix/update them, thereby providing organizations with an obvious advantage. You can use microlearning for both formal and informal training needs. They offer you the flexibility to use them as Performance Support Tools (PSTs), as standalone learning nuggets or as part of a series of courses. You can also offer them through an LMS or integrate them in the learning path of a learning portal. 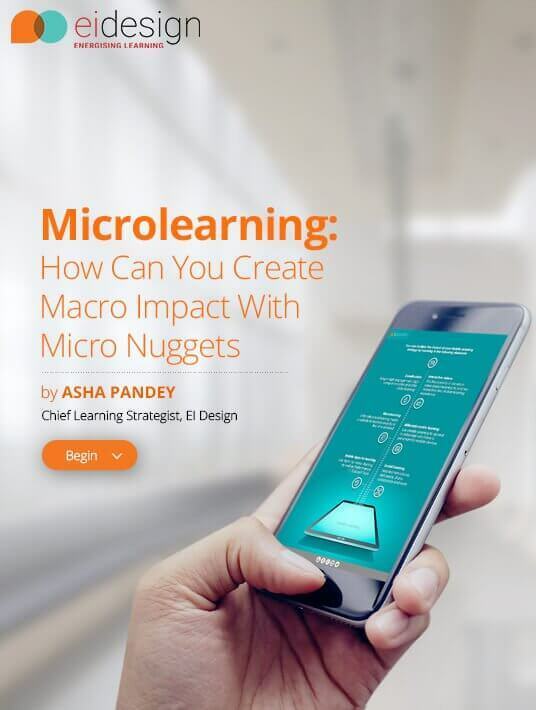 As microlearning nuggets help achieve a specific learning objective, they help create a high impact as learners get to learn exactly what they needed. Q8. Why is microlearning gaining momentum? Increased usage of mobile learning or mLearning. You can develop and update microlearning nuggets quickly. The flexibility to use them for both formal and informal training needs. It results in higher completion rates and higher impact. It is perfect for learners with low attention spans. It finds takers in the millennial generation and other learner profiles. Q9. Is microlearning relevant only for the millennial workforce? Save learners’ time and offer them the advantage of completing the learning quickly. Offset the challenge of dwindling attention spans. Can be taken on the device of learners’ choice. Need not be taken through a Learning Management System. Can be made available within the learners’ workflow. Q10. How can you use microlearning in corporate training? As a supplement to formal training. To supplement/reinforce online and ILT trainings (pre and post). Q11. When should you not use microlearning? Microlearning may not work in a few situations where the training program at hand is too complex and where it makes more sense to present the training as a single larger learning unit. Otherwise, microlearning can be applied to almost all training programs in the form of standalone nuggets or as a series of nuggets threaded in a learning path. Their widest adoption continues to be as Performance Support Tools or PSTs (just-in-time leaning aids). Q12. How should the microlearning be designed? Step 1: Create the “Master Learning Blueprint” for your course and define the learning goals. Step 2: Craft the “learning path”. You need to then convert your master learning goal into a series of nuggets. As and when your learners complete each nugget, they would get one step closer to achieving the larger learning goals. Step 3: Scheduling the learning path/learning journey. Get your learners to complete these milestones everyday or based on their convenient time. This way, you can help learners reinforce the learning and practice what they have learned along the way. Q13. What are the formats in which microlearning can be deployed? Today, you can take a pick from several engaging and innovative formats. All of these are multi-device formats (supported on desktops/laptops as well as Ttblets and Ssmartphones). You can pick a particular format based on the nature of content and how it should be applied. At EI Design, we use most of the popular formats shown here to create engaging microlearning nuggets for formal learning, Performance Support as well as to supplement ILT sessions. Complex branching scenario based simulations. Q14. Can microlearning impact the ROI? Any learning strategy that can impact Recall, Retention, and Application will be able to demonstrate a positive impact on the ROI. As we have seen so far, microlearning approaches appeal to the learners, lead to high completion rates, and package information that can be applied precisely at the time of need. Designed to meet the mandates of knowledge acquisition, application, and behavioral change, microlearning-based training will establish a clear value for the business and ROI. Let’s take a look at the impact on ROI that microlearning creates in the light of Kirkpatrick’s model of evaluation. Microlearning impacts Levels 1 and 2 directly. As a derived gain, it would impact Levels 3 and 4, thereby resulting in a positive ROI on training. Q15. What more is possible? As I have shown earlier, you can opt for a variety of interesting formats (mapping to your content). You can take a look at this video of our Webinar on How You Can Use Microlearning To Improve ROI for a comprehensive view of microlearning and how it can help enhance your ROI. I hope this article answers your questions on microlearning and why it makes sense to adopt microlearning based training in your learning strategy. If you have any queries, do contact me at apandey@eidesign.net.